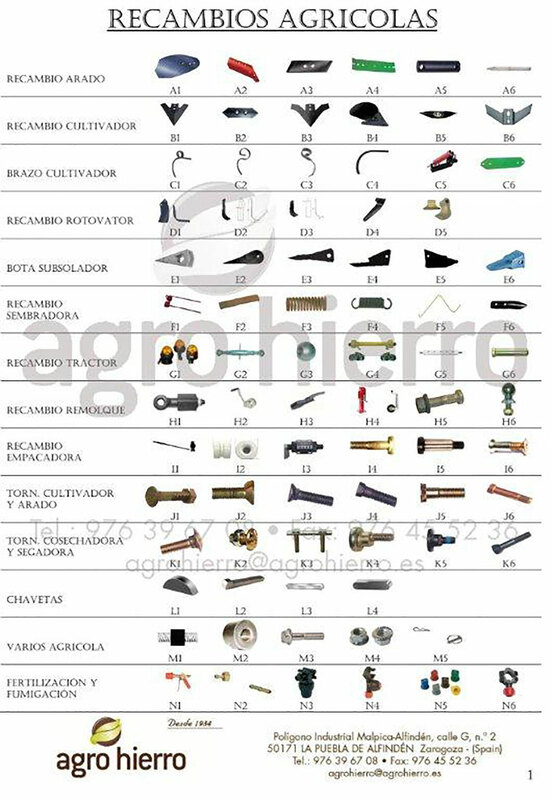 Agricultural spare parts, agricultural and industrial hardware. Since 1984 we produce in steel and other materials, with premium quality. all type of parts, wearing parts, industrial parts available. The largest supply of spare parts. 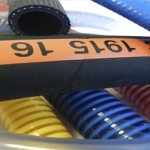 All type of Hoses and Clamps that you need, we supply to you. 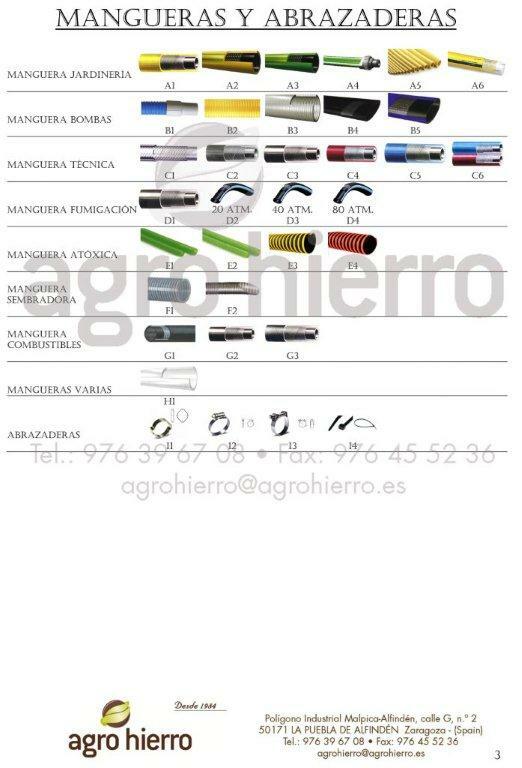 Industrial Hoses, technical, agricultural, gardening. We have a wide range in Irrigation: sprinkler, drip irrigation and others. Fittings and Programming. Sprinklers for Agriculture, Sports and Gardening. Pumps and Spraying. Valves and fittings for agriculture, Sports and Gardening. 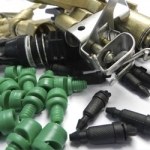 Programming, drip irrigation, hydraulic valves, couplings. 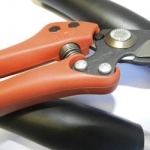 The largest range in pruning, cutting and protection for trees and plants. Everything you searh for, we have it! 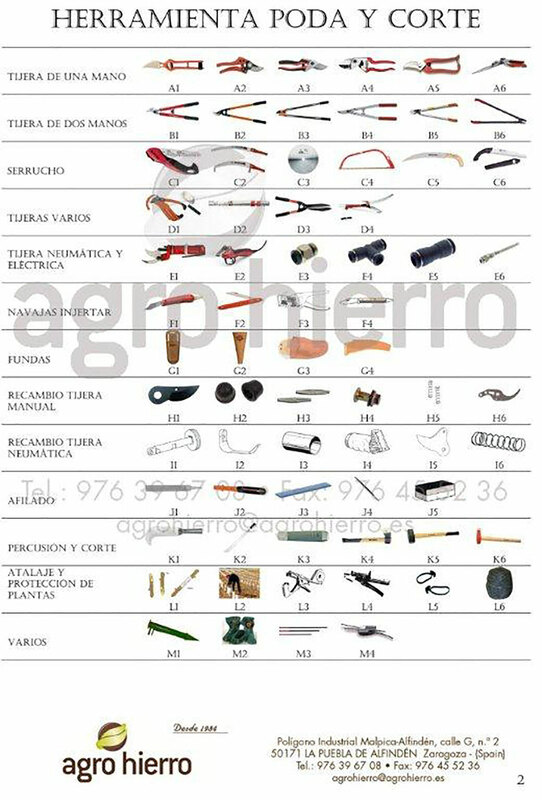 Scissors; Handsaw; Pneumatic scissors and electrical; Grafting knifes; covers; parts for pneumatic and hand scissors ; filing; percusión and cut; crop binding and protection. 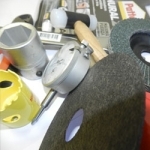 Steel cable and gripping accessories; chain; accesories; textile rope ratchets; lifting accesories and tools; ladders; lubrication equipment; gaskets; wires and nails; bolts, screws; metals; nuts; washers. Since 1984 we provide our clients and customers, spare parts, agricultural and industrial; plus personalized steel Solutions. Our expertise, production means and the insight of our clients needs, allows us in Agro Hierro to produce any type of steel parts, agricultural and industrial, suiting the required specifications. Everything you need, we have it or we produce it for you. Send your Request! We are fond of Challenges. That is why we are renowned for managing the best spare part or hardware in every situation, with highest quality standards. 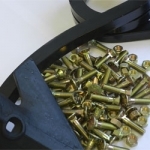 We produce discontinued steel parts suiting your need. 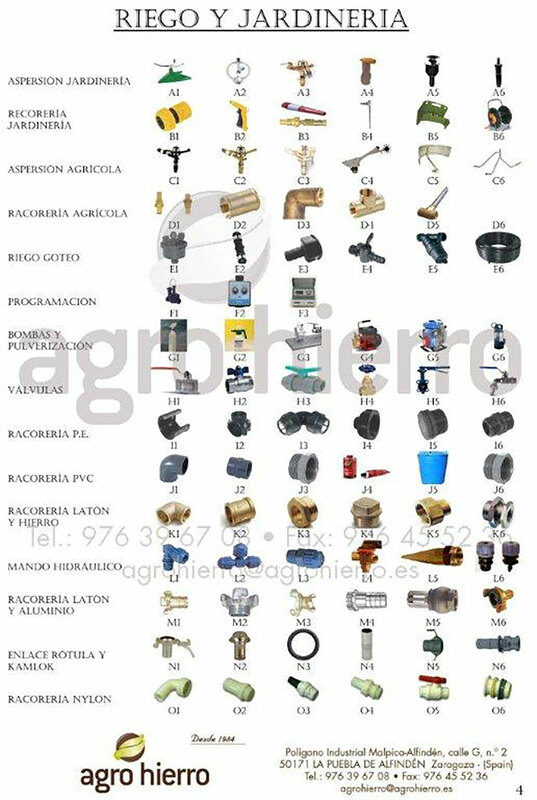 Over 30 years of experience working near agriculture and all type of industry has enabled us in Agro Hierro to stock and produce a wide range of spare parts for agricultural and industrial machinery, and the knowhow that our customers appreciate. Time of response, before 12 hours. 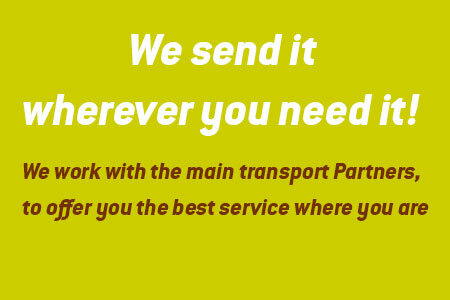 We feel your projects as ours, to provide for the best solution. 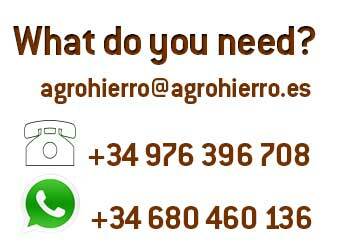 Agro Hierro is founded in 1984, (profiting from 20 years of experience in hardware steel sector), as a Family Business. Today the second generation that has been brought up in values of client service and personal effort, maintains these values and aims at passing them to the new generation. 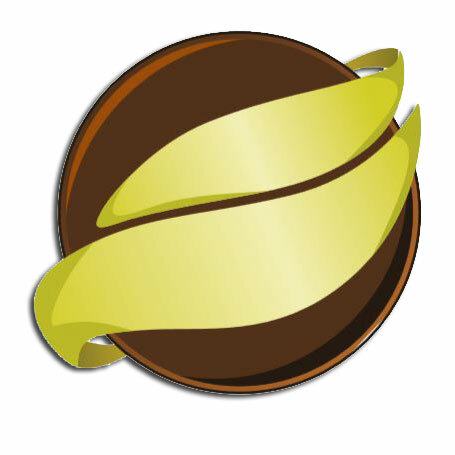 Your data are safe, we comply with legal requirements for safe data Management (Spanish regulation). By sending this form, you are accepting to receiving our Communications by any means, including e-mail, and declare that you have read the legal contents in this Web.